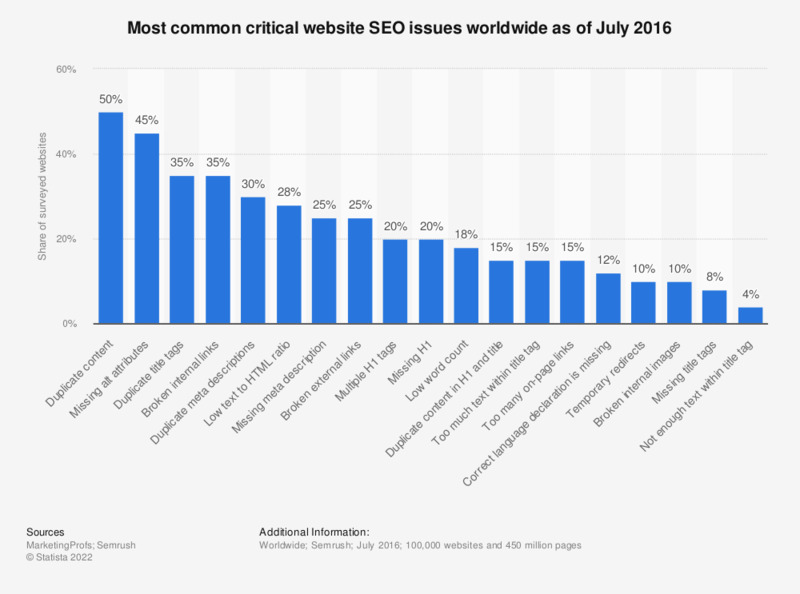 This statistic presents a ranking of the most common critical website SEO issues worldwide as of July 2016. As of that period, 50 percent of sampled websites featured double content and 45 percent were missing alt attributes. What is your main source of traffic?